Several weapons might be changed in the next major update. Sledgehammer Games is considering making some major changes to several weapons in Call of Duty: WWII. Michael Condrey, the chief operating and development officer at Sledgehammer Games, took to Reddit earlier today to discuss potential nerfs and buffs in WWII. Condrey mentioned four weapons in particular, but made sure to note that Sledgehammer hasn’t committed to any of these specific changes yet. “The difficulty of the weapon lies in its recoil when shot rapidly down range, but you don’t really feel the recoil when firing at close range due to recoil affecting range fights, and more consistent aim assist at closer ranges,” Condrey said. In response, the team could look to nerf the M1 Garand’s fire rate, pull up time, and/or reload time. 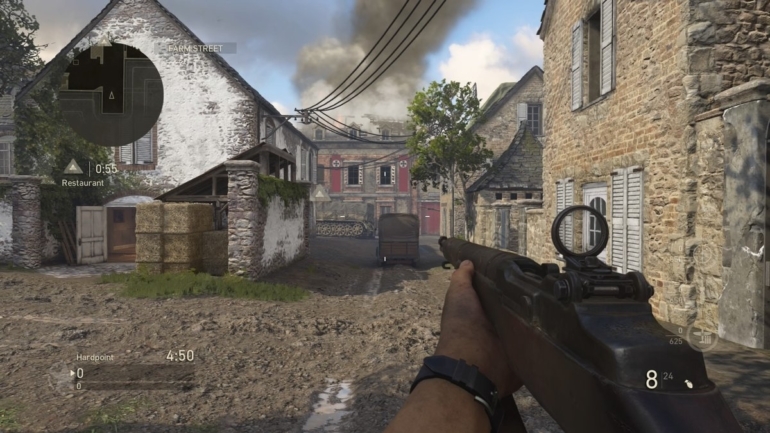 The Kar98k—widely considered the best sniper rifle in WWII—could also be nerfed alongside the M1 Garand. “We’re considering an ADS in time nerf” for this popular sniper, Condrey said. The FG 42, on the other hand, could be revived to its former glory—or at least return to being a weapon of choice for some players. This assault rifle was arguably the strongest gun in the game until it was recently nerfed, but Condrey admitted that it may have been altered a bit too much. None of these weapon nerfs or buffs are final, but many players will be happy to see that Sledgehammer and Condrey are considering a wide variety of changes.